Jelly Bean, this adorable Li'l Sweet & Sassy stuffed ladybug, is a great companion for imaginative adventure. 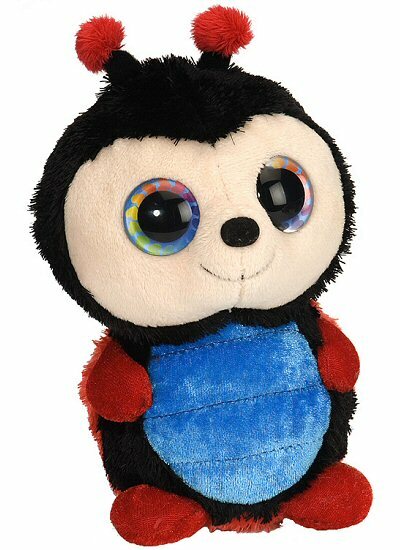 With soft black and black-spotted red fur, blue tummy, fun antennae, and a smiling beige face, this sweet plush lady bug has a rainbow of fun hearts surrounding beautiful blue eyes! Look into their depths and you're sure to feel warm fuzzies. 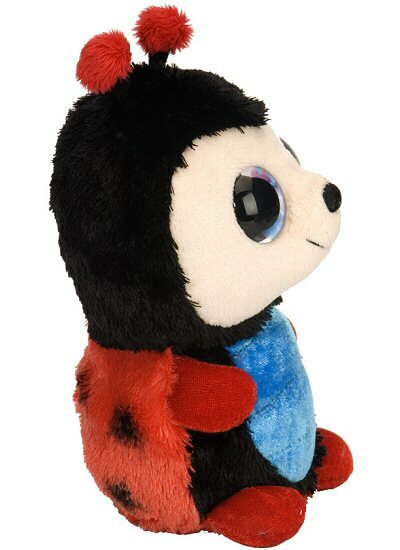 Another great thing is that when you purchase this lovable Li'l Sweet & Sassy plush ladybug, a portion of the proceeds helps to provide housing and education for disadvantaged children, as well as protection for abandoned animals throughout the world. Fun Facts about Ladybugs: Most predators find a ladybug's coloring to be rather unappealing, but if that doesn't ward them off, ladybugs can secrete fluid from their leg joints that make them taste awful. This customizable Ladybug fabric wall art is a wonderful addition to any barnyard, meadow, or other outdoor landscape. Wild Grape, this adorable Li'l Sweet & Sassy stuffed hippo, has soft purple fur and beautiful blue heart-ringed eyes.